Pioneer announcer and journalist Lou Douglas has died. He was 85. 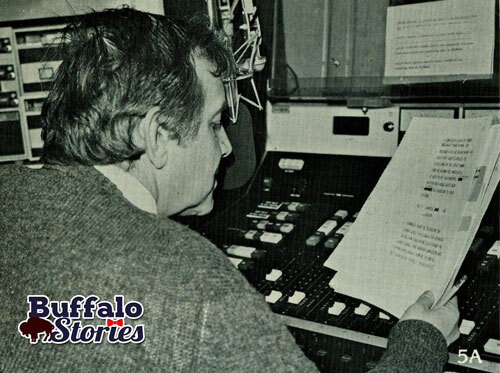 The Korean War vet came to WBEN-AM/FM/TV in 1957 and his unflappable, smart, level-headed approach to news anchoring and interviewing was part of the fabric of the station for 30 years. 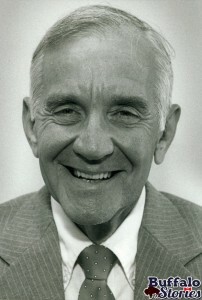 Douglas was considered by most as the dean of broadcast journalists. Douglas would continue to appear as a reporter, host, and announcer on TV through the 1970s, but he is best remembered for his work at WBEN Radio. It was his voice that anchored coverage of President John F. Kennedy’s visit to Buffalo in 1962. He broadcast from inside the prison complex during the Attica uprising. 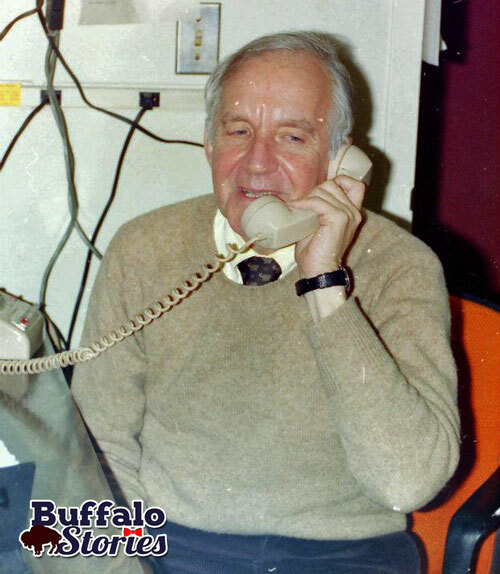 Living in Kenmore, his home was closest to the WBEN’s Elmwood Avenue studios– which meant extended duty for Lou during the Blizzard of 1977. He always sounded even-keeled on the air, and was the same way in the newsroom, where he was remembered for reading the Wall Street Journal and never being afraid to pick up the phone to calmly make the most outlandish and seemingly impossible interview requests for his afternoon and evening interview spots. In spanning three decades, Douglas really had two separate careers; one as a staff announcer, and one as a journalist. 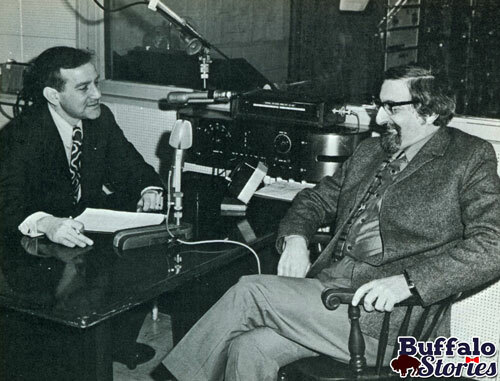 Through the 1950s and 1960s, the people you saw on Channel 4 and heard on WBEN were announcers– and only announcers. Union rules dictated that they could not and would not write their own news scripts or conduct news interviews or gather information. 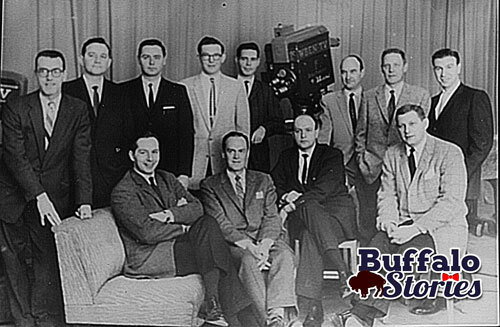 WBEN’s staff announcers of the late 1950s. Douglas is second from the left, standing between Jack Ogilvie and Van Miller. 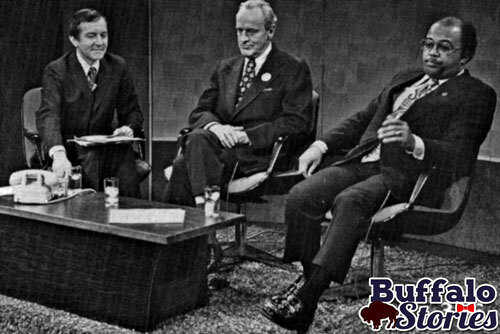 By the mid-1970s, those rules had changed, and most of the “announcers” who had been bringing Buffalo news and weather since the ’40s and ’50s were gone. 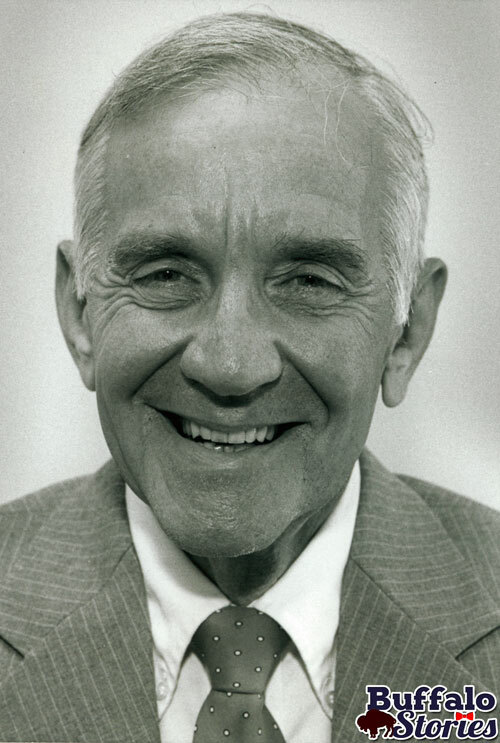 Not Douglas, though– his abilities as a staff announcer complimented his ability to gather the news, interview the newsmakers, and write his own newscasts. 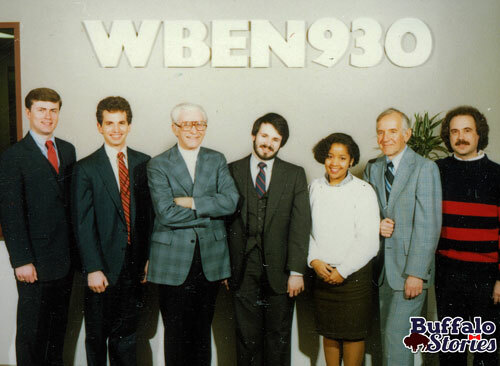 Lou with the WBEN newsteam of the mid 1980s. He retired from WBEN in 1987, and spent a brief period at WWKB Radio a few years later before retiring for good. 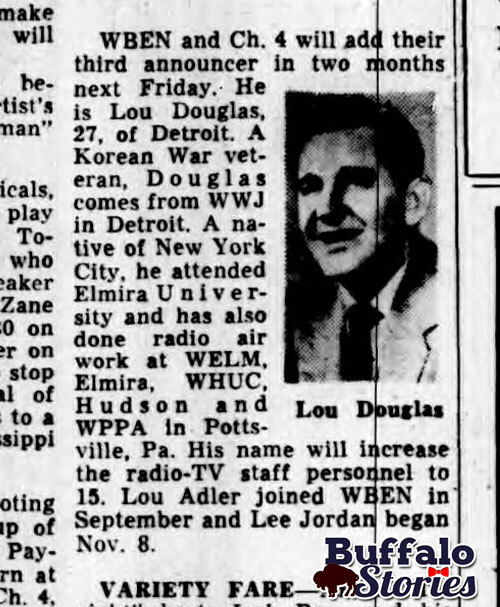 The Courier-Express welcomes Lou in 1957. In 2010, I spoke to Lou about his days in radio, and the possibility of the Statler building facing the wrecking ball. This interview wasn’t meant for broadcast, but is wonderful none the less. That interview, along with some career highlights, are listed for playback below. Please feel free to use any of the audio or photos in the celebration of Lou’s life in any media. 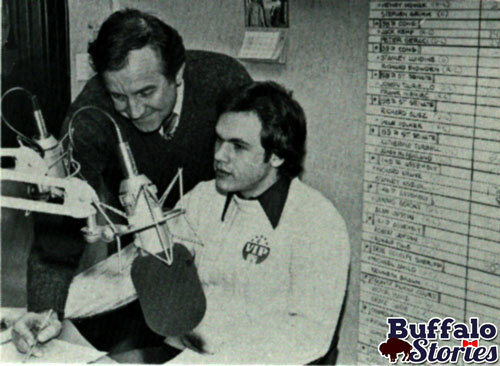 WBEN News with Lou Douglas, 1973. Attica uprising, will Mayor Sedita resign? 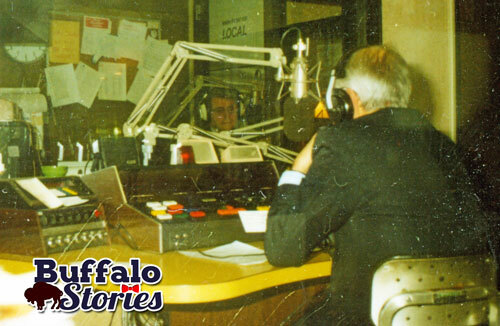 Lou Douglas (back) and Jim McLaughlin (through the window) hosting WBEN’s Newsday. 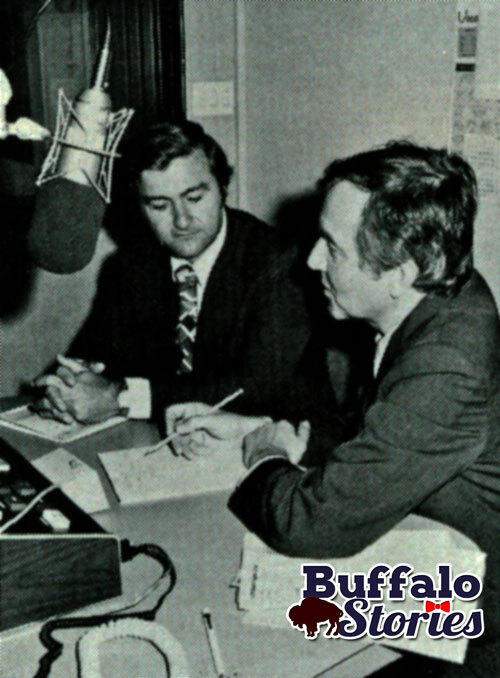 Both covered the Attica uprising as radio reporters, Lou for WBEN and Jim for WKBW before coming to WBEN in the late 70s. 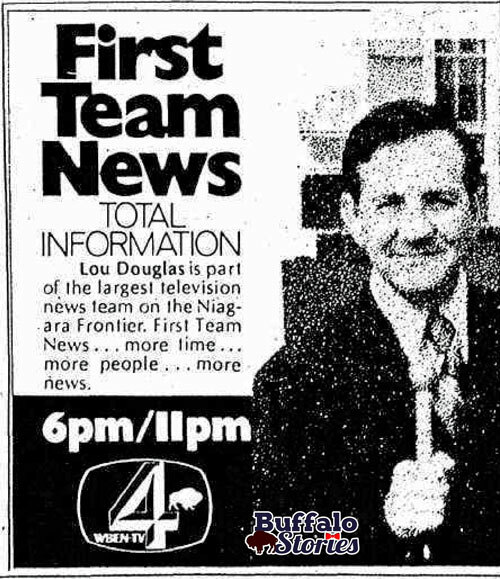 WBEN News with Lou Douglas, January 1977. The Blizzard of ’77. WBEN’s Coverage of JFK’s Visit to Buffalo, 1962. Lou Douglas live from Niagara Square.